My take on the state of public schools today and the children who actually attend. 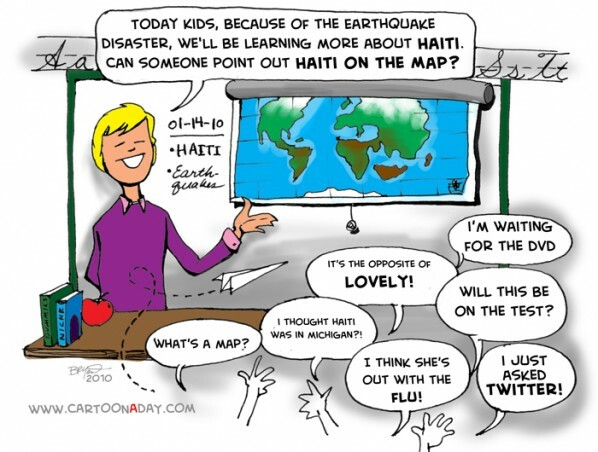 My heart goes out to the sufferers of the Haitian earthquake. Cheers. Inspiration: Showing the lack of geography education in the classroom of the public school system, though they take the opportunity to teach when the disaster arises.